As a librarian supporting students and academic staff over the last 20 years, I have substantial experience of working with digital content and currently work with around 30 electronic databases. My ability to work productively and assist students in gathering information or data is influenced significantly by interface design – a critical component of the user experience (‘UX’) of these databases. The following represent my personal views on interface design. Why is interface design important? The ability of a user to work well with an interface influences their productivity. Design changes to the front end of any database system are comparable to the challenges faced with a new computer operating system. For example, changing from: Windows 3.1 to 95 to 98 to 2000 to XP to 7 to 8 to 10 – meaning the familiar is no longer so, resulting in one’s productivity going down, at least initially. Passport. Geography search stage (old version). A helpful feature was the ‘predefined selections’. Here, many country groupings (e.g. EU, G20) are clearly visible and easy to select. The ‘Results List’ screen displayed a variety of categories available to select (e.g. Industry Overview, Local Company Profile). Passport. Results screen (old version). The look and feel of the interface has now changed, in such a way as to reduce the effectiveness of the interface. I find it very confusing, with the results screen not showing the options of the old version. I’m not alone, if the comments on the Business Librarians Association (BLA) bulletins are a guide. So if I and my professional colleagues are having difficulty, students must be in an even worse position. It is hard to see these changes as being driven, as they should be, by attention to the user and how they work. Instead they feel to me more like change for the sake of change. Just as washing power might be branded ‘New and Improved!’ so these changes to the look and functionality of a database must be a step forward over what went before. Mustn’t they? Well, no. The Japanese concept of Kaizen, which translates roughly as ‘continuous improvement’ is pertinent here. This principle runs through effective UX developments. With the emergence of ‘the perpetual beta‘ and web 2.0, users can be seen as co-developers, through an ability to feed into service changes. By monitoring the take up (or not) of new features, service providers can reflect user needs. Such an approach drives a user-centred evolution of a system interface, introducing incremental and necessary improvements over what has gone before. This is far preferable to a revolutionary approach, resulting in drastic changes to the interface design which risk causing significant disruption to its users. This reflects the position taken by Joe Hardenbrook, that a state of permanent beta is OK, when feedback is received and adapted to, enabling improvements to flow from this. For example, in undertaking a review process, the provider of the Factiva database has reassuringly put the user experience at the heart of the exercise. This includes undertaking interviews, with the goal of improving productivity, through ‘compact, clear and consistent design’. Why do effective design features matter? Does the database have a look which persists over time? Some good examples, in my opinion, include Thomson Research and Factiva. Both the search interfaces for these databases have remained similar for over five years. The search screen is a single page, with no scrolling down required and all options clearly visible. These can be selected by typing in a free text box or using a ‘look-up’ option from a magnifying glass icon. Other selection methods are equally clear, from clicking to select options (e.g. 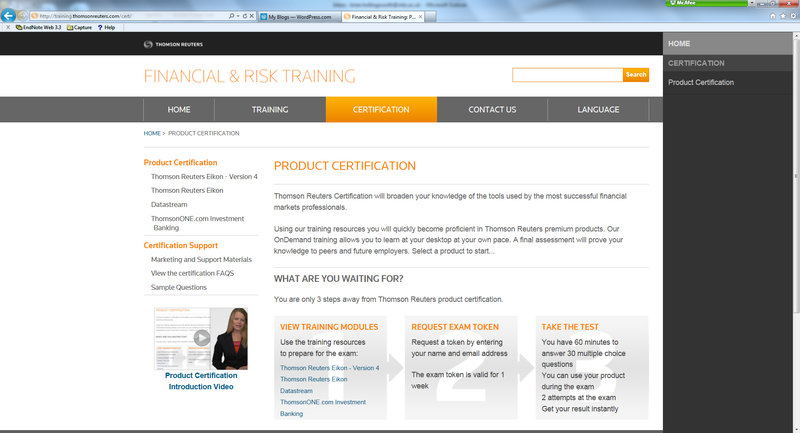 Report Type: [Company, Industry] in Thomson Research) or using a drop down menu (Date in Factiva [e.g. In the last week]). In Factiva, search options flow from top to bottom, in a single column, on the left, culminating in a blue colour-coded ‘search’ button, at the lower right of screen. 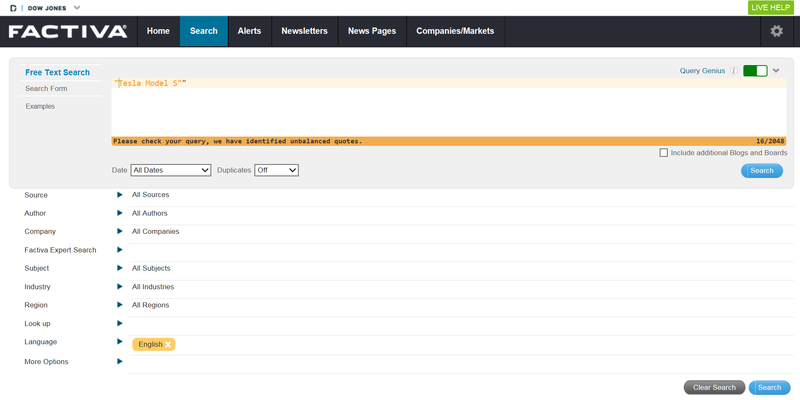 Thomson Research has two columns of search options and again a blue colour-coded ‘search’ button, bottom left of screen. Familiarity contributes to ease of use. If a database has reached a clear and effective design, there is value in maintaining this appearance. Why is this important? Because students (and library staff) have many demands on their time. When faced with a radically altered search interface, time is wasted trying to get familiar with the new ‘look’. So I would urge our suppliers to ensure such changes respond to user needs and behaviours rather than simply to refresh the brand so that it looks ‘new and improved’. Some suppliers are seeking insights through user engagement, to improve their products. For example, EBSCO Information Services seeks insight into today’s student as an ‘information seeker’. Kate Lawrence, Vice President for User Experience Research, noted students have an ever increasing desire for efficiency, approaching their studies by looking at priority (which deadline is first) and looking at the return on investment in terms of getting the best results for the amount of time invested. Being aware of such requirements allows a provider to meet these user needs. By providing options clearly visible on the search screen, alternatives can be selected without confusion. A prime example of this is the Factiva database (Business News). Using the ‘Search – Search Builder’ option from the drop down menu, many alternatives become apparent on the left of the screen. For example, Date, Source, Subject – which can be easily explored and used as part of a search. Should it need to be refined, after viewing the results, this can be achieved by simply clicking on the ‘Modify Search’ button to retrieve the original search options. I sought comments from a colleague who works in a different area of the library, relating to database design. He noted that a lack of familiarity makes usage more troublesome – in his case, identifying financial databases, which I often work with. Further, the examples of Compendex, IEEE Xplore, Scopus and Web of Science were noted as being ‘easy to use’, having good basic and advanced search options. I think this again reflects a point made earlier – to be able to proceed in a search, without confusion. ‘Evolution rather than revolution’ can be translated to mean small improvements, which leave the basic search design unchanged. Again, in Factiva (in the past), to indicate a phrase search in the text box at the top of the screen, two or more words had to be included within quotation marks. For example, “Tesla Model S”, which searches for these terms in this exact format, rather than as keywords scattered throughout the documents being searched. Now, however, this is done automatically. If you attempt to enter quotation marks, a message appears on screen noting: ‘Please check your query, we have identified unbalanced quotes’. This is a good example of an enhancement, which maintains the basic search interface. Global Market Information Database → GMID → Passport. Global Insight → IHS Connect. KeyNote: this market research database previously showed a comprehensive listing of sections for an individual report on the left hand menu (e.g. Market Size, Competitor Analysis) which I found really helpful. This no longer appears, which I believe is a backward step. Mintel: by splitting up and scattering the constituent sections of a market research report on a results page, rather than offering a PDF link to display as a single report (available for KeyNote reports) it is far less user-friendly. I have witnessed students and library staff finding the layout confusing. I appreciate excellent database design when faced with a substantial enquiry and a tight deadline – reflected in stability and a clear, intuitive search interface. Incremental improvements to a database are preferable to radical changes, when seeking to support students and academic staff in their research. This process can be enhanced through testing and should be driven by user needs, such as the Factiva review noted above. In conclusion, I can do without the washing powder mentality – ‘new and improved’ – as it isn’t always so. Lawlor, B. An Overview of the NFAIS 2015 Annual Conference: Anticipating Demand: The User Experience as Driver. Information Services & Use. 2015, v.35(2), p.15. Several times each year, The University of Manchester Library staff are invited to take part in a “Liquid Lunch”. Held at lunchtime, as you’d expect, this is a chance for staff to hear from speakers from around or outside the University on a variety of different perspectives and new ideas. Those attending bring their own sandwiches and drinks are available. 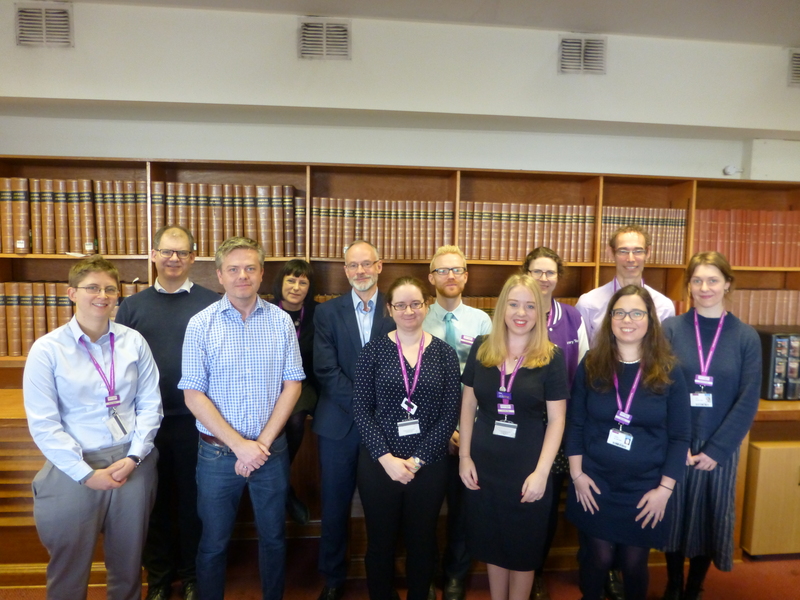 Most speakers are external to the Library, but in March my colleagues in the Business Data Service (BDS) and I had a chance to present to the group. The topic? Specialist business and financial databases: Behind the curtain. With 30 interested colleagues from across the Library in attendance, we were happy to share some introductory information about how we help users of business databases get access to the data they need. Xia Hong described the different coverage areas of BDS, including identification of existing Library resources, investigation of new resources, managing of databases, and advice and best practice on working with large datasets. Phil Reed showed the topological tube network he’d made, explaining that some databases can only be accessed from certain computers in the Library, some can be accessed anywhere on-campus at Manchester, and still others can be accessed from anywhere with an Internet connection. With over 50 databases covering business and management, choosing the right one is not always straightforward, and we work to help users find the right database. We were joined by our colleague Jane Marshall, Academic Engagement Librarian for Manchester Business School (MBS). Jane is the first point of contact for our academic colleagues, and she described her work arranging for curriculum-linked library or database training. 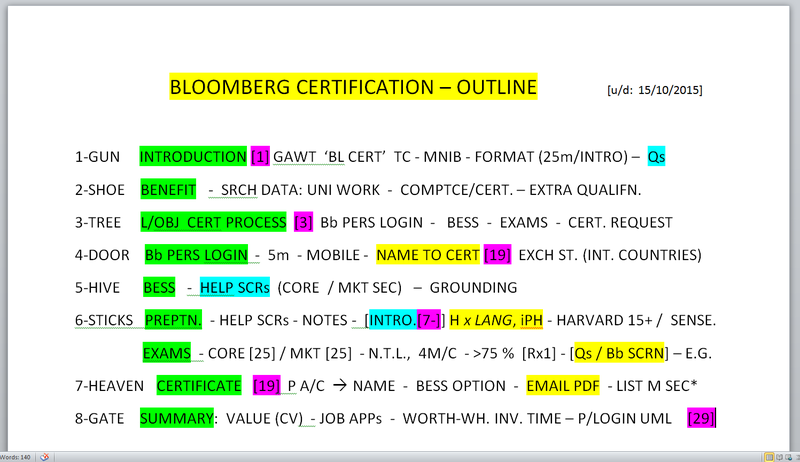 Brian Hollingsworth gave a demonstration of Bloomberg. He showed some of the most-used areas such as share price data, alongside some of the unexpected areas of information such as earthquake data. Brian holds Equity Essentials certification in the Bloomberg Essentials Training Program, and it was easy to see the depth of his knowledge about what Bloomberg offers and how to access it. 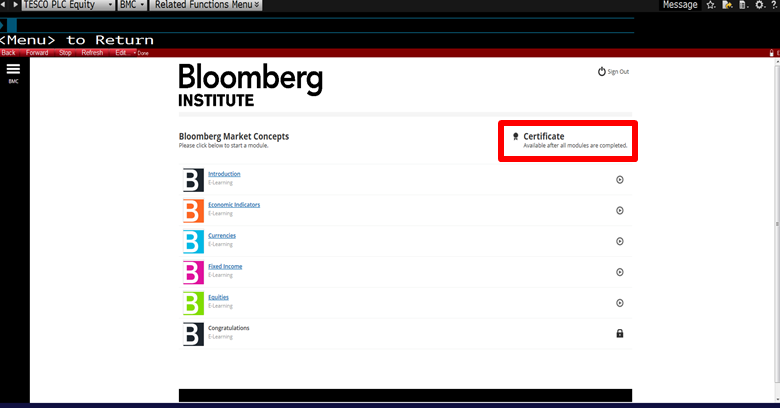 Students who pursue certification will find it increases their skills in working with Bloomberg and also may make them more attractive to prospective employers. As the newest member of the team, having joined in January, what did I do? I posed example questions from students, academic staff and non-academic staff; these questions were answered by the others in the team. Knowing the kinds of questions that come to us helped our colleagues understand more about what we do. Initial feedback on the presentation was positive. Some questions posed, such as those about how we evaluate our services and how the MBS redevelopment will enhance our services, provide good food for further thinking and development. 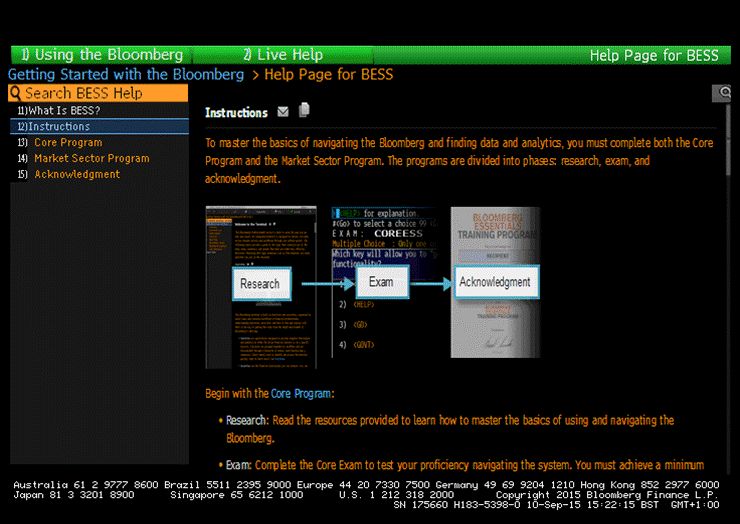 Our colleagues were enthusiastic about Bloomberg and all the information it holds; we may see many new users coming to our Bloomberg terminals! Planning and delivering the presentation gave our team a chance to consider what we though our colleagues might not already know that we’d like them to know. We would recommend this type of presentation to other teams at Manchester and beyond. What might be hiding behind a curtain near you? Why are there so many business databases? 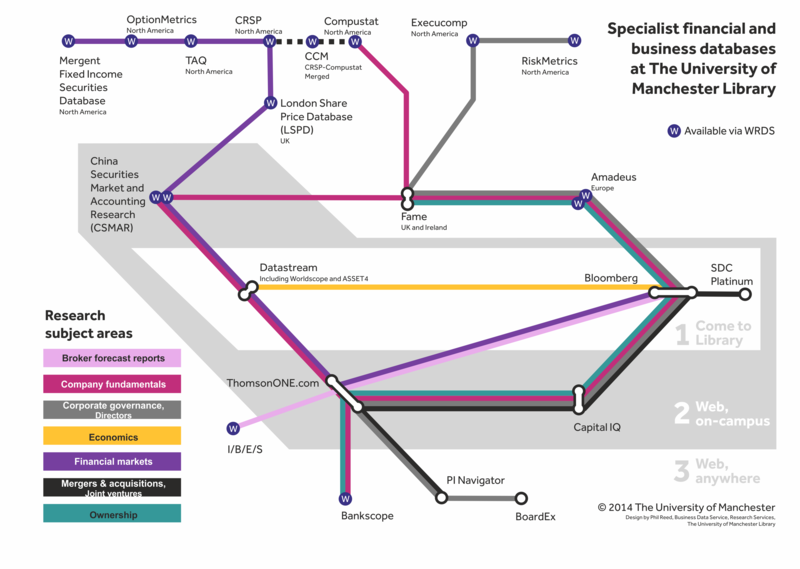 Browse The University of Manchester Library website and you will find a large number of business databases. Researchers have to chose which of these is best for their research and this can be influenced by various factors. To guide this decision it is important to remember the factors that lead to academic libraries having many business databases. The best known business databases are commercial products: for example, Bloomberg Professional, Datastream (Thomson Reuters), and Capital IQ (Standard & Poor’s) . They are available to universities for non-commercial use but their main market is finance professionals. These systems are similar but not equivalent. The companies developing these systems are constantly trying to improve them to maintain or increase their market share, and often this includes providing data that is not available from competitors. The big advantage of commercial products is that it gives students the chance to get experience of the very systems that they will be using when they get a job in the financial sector. There is some information freely available on finance websites but this does not have the quality, range and history needed by researchers. There is no incentive for free websites to have accurate historical information on companies that are inactive (have been taken over or gone bust) and this is vital for research. 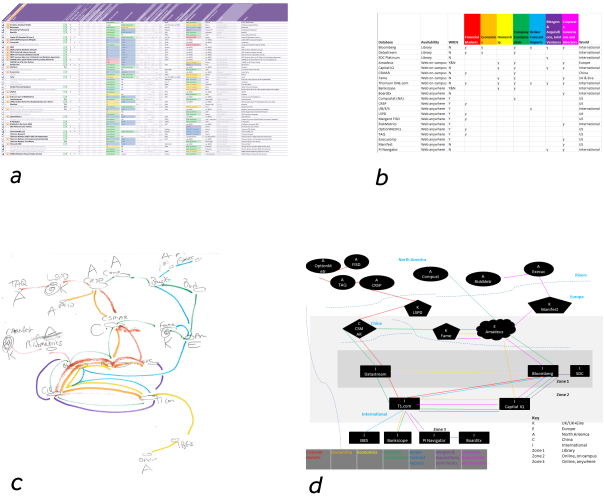 Researchers therefore depend on commercial products as an essential source of research data. Researchers are always looking for new opportunities – being able to investigate new questions or test out theories in a wider context. Recently there has been increasing interest in executive compensation and related corporate governance data. In most cases there are specialist databases that provide data in this sort of area and these are the first choice of researchers as they offer fertile ground for novel analyses. There are established research databases that only cover the American market. These are well known by reviewers for the better journals so are the preferred choice for researchers studying this market. If you wish to study global or emerging markets there is no single best choice. Some alternatives are global and others are more local and each has its own strengths and weaknesses. This means that research that looks at extending existing research results from one market to another often involves adapting the research methods to suit different databases. The buyers of the best-known commercial databases are banks and investment companies interested in recent information on current public companies, or ones that they think might become public in the near future. They spend large amounts of money getting the quickest access to the latest information, not on getting the highest quality information for the longest historic time period. This has led to the creation of specialist databases that cater for researchers who want to study markets over a 20, 30 or 50 year time span. In summary, researchers who want to do novel research and get this published in a good journal have a different criteria for choosing databases than an investment bank. As a result almost every university has a slightly different collection of business databases. There is significant overlap but the full list will reflect the research interests of the staff, and as a result can change over time. There are inevitable pressures that make it much easier to add a database to the offering than to remove one. Research papers can take years to publish in a top journal, and if academics have found an interesting topic they usually want to publish more than a single paper. It is difficult to remove a database if there are any current or prospective papers in progress since researchers need a current licence to allow them to use the data and submit their results for publication. If a database has become established as part of a taught course then staff build up a wealth of experience in guiding students to the specific information they need and steering clear of potential difficulties. As a result it is a big step to move to another database even if it offers access to the same information. The main reason databases are removed is because companies supplying them want to replace them for commercial reasons. It is not uncommon for universities to ask for continued use of a database, which is no longer being actively developed, because there are “in progress” research publications or because time is needed to check that their replacement is tested for student use. Selecting a database can also be challenging, but the Business Data Service is available for consultation and advice. Another blog post in the near future will look at the methods and support available for deciding which databases are best, and how the Research Services team is looking at providing innovative ways of presenting such information.